Well, before you lose your chill, we've developed a highly rigorous, scientifically tested collection of snappy comebacks to make the most adamant non-opera human wonder if perhaps it’s time to give our favourite art form a test drive. Opera is intense, and that’s why we love it. The stories explore our most elemental human experiences, and launch them into a stratospheric realm. It's emotion amped up and taken to the nth degree. In this season’s Elektra, revenge and murder are the name of the game as Elektra vows to avenge the death of her father by murdering her mother and her mother’s new lover. This spring, Otello takes on Shakespeare’s classic of the general driven to madness, smothering his innocent lover in a bout of jealous rage. In more of a crying mood? Try Puccini’s La Bohème. Probably the most popular opera of all time, it has recognizable, heartbreakingly beautiful music and a story that has inspired millions – even Jonathan Larsen’s Tony Award-winning musical, Rent. Don't let that candle go out, Rodolfo! Sure, you can splurge on box seats – but we also offer a range of options that are lighter on your wallet than a movie and popcorn. If you’re under the age of 30, our Opera Under 30 program gives you access to $22 tickets. Standing room seats are also available the day of any performance, for just $12. One of the most impressive aspects of live opera is that the singers perform with zero amplification. That’s right – no mics. If you’ve ever tried singing with a guitar, piano, or karaoke track – imagine trying to sing over a 100-piece orchestra playing full blast. That’s what our singers are up against in R. Strauss’ Elektra. Opera singers put in years and years of training before they ever make their professional debuts. They learn different languages and they go through intense conditioning for their bodies just like high performance athletes. Same goes for the musicians in the orchestra. Our COC Orchestra is the best of the best, and they have the incredible task of performing two operas every mini season - this winter they'll be flipping from the absolute mayhem that is Strauss' Elektra to the sparkling stylings of Mozart's Così fan tutte. One of the most common reasons people don't give opera a chance, is that they’re afraid they won’t understand what’s going on. To that we say, don’t be afraid. For every performance, we provide English SURTITLESTM above the stage. We have plot outlines and lots of accessible materials to help you grasp the nitty-gritty of the plot, but it’s not a requirement. Sit back, relax, and let the music take you on a journey. Sure, some operas are six hours long (I’m looking at you Parsifal), but most are in the two- to three-hour range. This season, Elektra comes in at a cool one hour and 43 minutes. 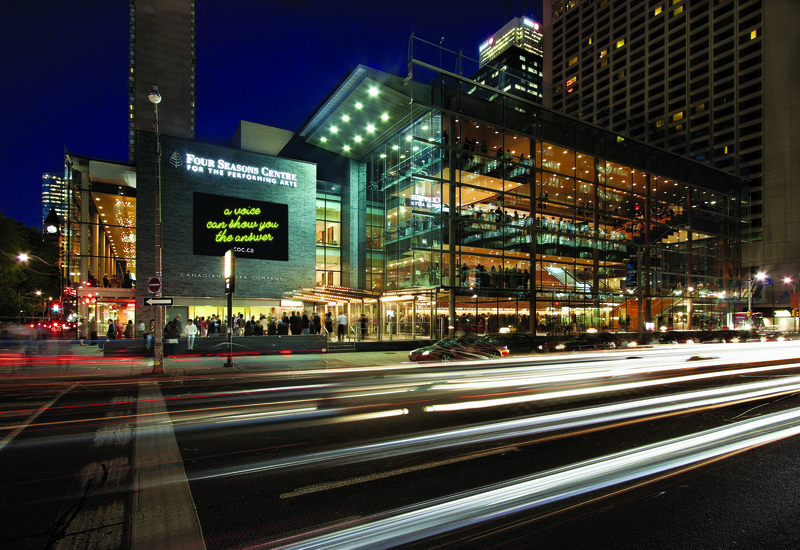 Crowd-favourite La Bohème clocks in at just over two hours with a 25-minute intermission, the perfect opportunity to sip some wine, chat with friends, and explore the gorgeous Four Seasons Centre for the Performing Arts. Most people who say they don’t enjoy opera have never actually been, and have no idea where to start. That’s where you come in. This holiday season, you have the opportunity to be a bridge to the opera world — whether that's by illuminating the art form as something totally unlike any other thing out there, a mad and extraordinary attempt to fuse all the arts into the ultimate hyphenated experiment, or giving them the gift of opera through our COC Gift Certificates. Be their Valkyrie! And pat yourself on the back, opera champion. This season, give the gift of opera with our COC Gift Certificates. 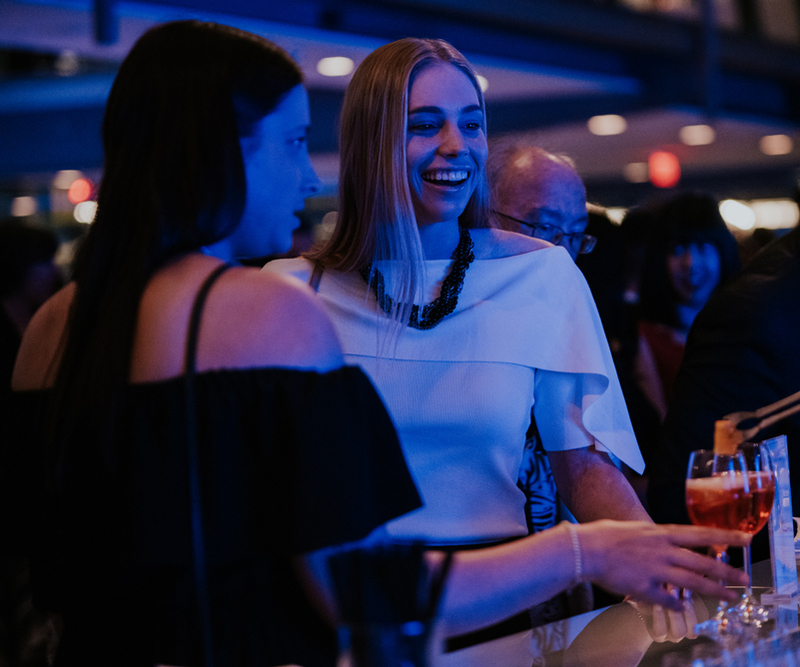 Photo credits: Four Seasons Centre for the Performing Arts (2018), photo: Sam Javanrouh; Operanation guests (2018), photo: Gaetz Photography.